Dwayne Kimball was born on the agricultural world of Demeter VI. Raised by his Aunt and Uncle, Kimball showed his familys knack for flying but was never told of his fathers exploits. Fortunately extenuating circumstances forced his Aunt: Vera Emidyon to reveal herself as one of the designers of the legendary Warhawk series starfighter. Kimball quickly learned that his fathers heroics in an early Warhawk prototype had saved Demeter IV. 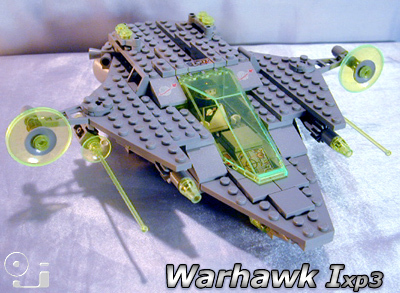 The Prototype ship, designed mainly by Kimballs Aunt was produced under the Warhawk moniker. Marketing and mass production of the original Warhawk made Demeter IV a very, very rich planet. Ultimately betrayed by a co-designer, Kimballs father was killed during a test flight. Kimballs Aunt helped her sister-in-law emigrate to Demeter VI but coun't have forseen her premature death. She did however adopt and raise Dwayne. It could be said that Kimball has the Warhawk blood in his viens. Originally one of the prototypes, Kimballs Warhawk served over a decade as a crop duster before he restored it to it's original specifications. Indeed if necessary Kimball can completely dissasemble his Warhawk Ixp3 then rebuild it from the ground up. An excellent fighter pilot, Kimball is also a savvy negoiator with a deep understanding of Agricultural and ecological systems. Ace level pilot, Starcraft grade mechanic - Advanced Technical skills including communications, drive systems, weaponry systems, guidance systems, et al., Agricultural skills including planetary ecology, crop systems, large & small scale agricultural economics, has a "green thumb". Grade Theta negotiation skills. Possible Stafighter training instructor. "It's odd to see such a young person in such an old spacecraft. The combination far exceeds the sum of it's parts"
"Ca'zinti Malthels are very prescious, to find a human capable of nurturing them is unique indeed." "Fate brought Kimball to our shores, but his skill protects us to this day." "Back on Demeter VI he's practically a legend. I fought with him in his first ever battle... Thankfully on his side!"